We're always looking for sneaky ways to get more protein into our diet- so why not put it in dessert? This recipe is actually so healthy, you could eat it for breakfast and feel good about it. Our 100% pure Grass-Fed Whey Protein is as clean as it gets. No fillers, additives, or flavors... and it creates a creamy, rich base for almost any recipe you add it to! 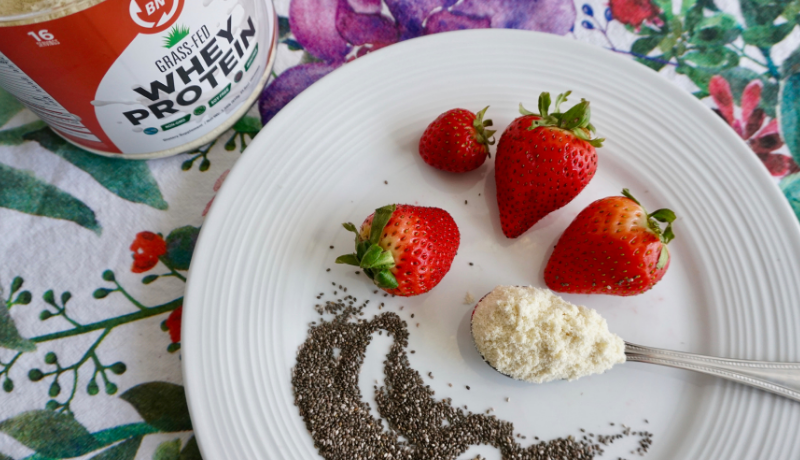 This parfait has a light, fluffy consistency that's perfectly balanced out by natural sweetness from strawberries and a texture from chia seeds. If you want to be extra decadent, you can add a little whipped cream (we won't tell!). 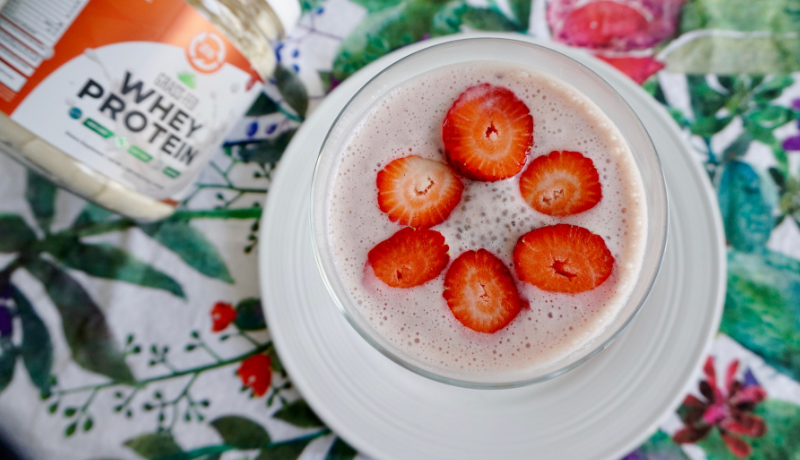 -Combine all ingredients except chia seeds and garnish and blend on HIGH until mixture becomes frothy and thick. -Divide mixture into 4 custard or parfait cups. Fold in 1 tbsp of chia seeds per cup, and gently stir to combine. Place the refrigerator for 20-30 minutes. -Chia seeds will become partially set after 20-30 minutes. Stir again, and place back in the fridge. -After 2-3 hours, remove parfait from the fridge, top with fresh strawberries and whipped cream if desired. Enjoy!